How to Install an SSL Certificate on a Nutanix Cluster? This four-part guide provides step by step instructions on how to generate a CSR code and how to install an SSL Certificate on a Nutanix cluster. After your install the SSL certificate, keep reading to learn a few interesting facts about Nutanix and discover the best place where you can buy affordable SSL Certificates. If you’ve already generated a CSR Code and received the necessary SSL files, feel free to skip the first part of this guide and proceed straight to the installation instructions. Where to buy the best SSL Certificate for a Nutanix cluster? CSR or Certificate Signing Request is a block of encoded text containing your website and company details. You need to submit it to your CA for validation during the SSL order process. Now, you can open your newly generated CSR file with any text editor of your choice. 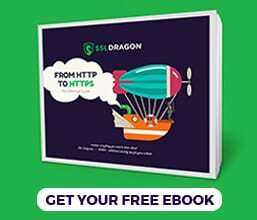 You’ll have to copy-paste its whole content, including the BEGIN header and END footer into the corresponding field on your SSL vendor’s ordering page. Alternatively, you can use an easier option and generate your CSR code automatically, with the help of our CSR Generator tool. After your CA sends your SSL Certificate files to your e-mail, you begin the SSL installation. Public Certificate: browse your primary SSL Certificate. You received it from your CA in a ZIP folder. Click Import Files and wait for the interface gateway to restart. Congratulations, you’ve successfully installed an SSL Certificate on a Nutanix cluster. After you install an SSL Certificate on a Nutanix cluster, it’s recommended to scan your new installation for potential errors or vulnerabilities, just to be on the safe side of things. With this powerful SSL tools, you can get instant reports on all facets of your SSL Certificate and its configuration. Nutanix is an American cloud computing software company specializing in hyper-converged-infrastructure (HCI) appliances and software-designed storage. Nutanix was founded in 2009 by Dheeraj Pandey, Mohit Aron, and Ajeet Singh. In 2017 Nutanix partnered with IBM to produce data center hardware using IBM Power Systems for business apps. Nutanix helps IT teams to build and manage powerful multi-cloud architectures. Nutanix Enterprise Cloud OS software merges private, public and distributed cloud operating environments and offers a single point of control to operate IT infrastructure and apps at any scale. Enjoy the lowest prices on the market, and dedicated customer support for any certificate you choose. 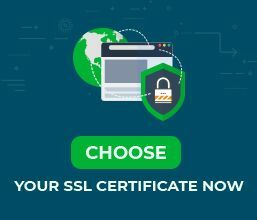 And, if your struggling to find the perfect cert for your website, use our SSL Wizard and Advanced Certificate Filter tools to get suggestions.